Whenever we discover that a component of food may be beneficial, someone attempts to isolate and profit off of it by selling it in an individual supplement form. Some of these supplements are great. They can help us add nutrients to our diets that we might not often encounter in the foods we choose. But sometimes, supplement manufacturers get a bit ahead of science. Just because something is healthy when we eat it, doesn't mean it's safe when isolated and magnified in supplement form. And that may be the case with the increasingly popular curcumin supplements. You've likely heard of curcumin because it's part of the plant that we also get turmeric from. Turmeric and curcumin are common in dishes such as curry. Many reports have been published over the past few years about their beneficial effects in preventing and treating a range of diseases, including cancer. 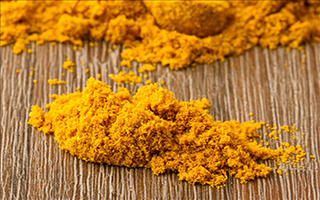 These reports have led to a rise in curcumin supplements and studies evaluating their effects. Unfortunately, some of these studies are showing that curcumin may not be as safe or effective as we thought. When it comes to effectiveness, the first issue is that when we consume curcumin, either in our diets or in supplements, we don't achieve the level of concentration of curcumin that researchers found in earlier in vitro studies demonstrating effectiveness. Your intestines and liver break curcumin down too much for it to accumulate in your bloodstream. This means that even if we develop higher doses for supplements, it may not be as effective as you've been told. And the in vitro cancer studies have found that in order for curcumin to be effective against cancer cells, the cells need to be exposed to high concentrations of curcumin for several hours. Because of how our bodies metabolize curcumin, that just isn't possible. We may be able to achieve the right concentration in the gastrointestinal tract as the curcumin passes through. But even there the concentration will not remain for a sufficient length of time to kill cancer. Some researchers are trying to develop mechanisms to enhance the bioavailability of curcumin. Unfortunately these strategies typically enhance its toxicity as well. Several studies suggest that under the right conditions, high curcumin doses can be toxic and can cause DNA damage. And as you likely know, DNA damage can lead to cancer — the exact opposite of curcumin's hoped-for effect. Additional studies suggest that curcumin may also contribute to iron deficiency and can inhibit several drug-metabolizing enzymes, which can result in toxicity from other drugs. But that doesn't mean I'm abandoning curcumin and turmeric as a supplement. None of this negates studies that have shown curcumin to have significant benefits. And if it has significant benefits, it's obviously being absorbed. That's why I suggest taking turmeric that has been shown in studies to be effective, such as the turmeric in Advanced Bionutritionals' Reduloxin and Advanced Joint Support. Most studies confirm that curcumin is safe in doses up to 8 g per day. Additional studies that investigate curcumin will likely find it to be safe. But beware of supplements that have high doses of turmeric that are not readily absorbable. It's possible they could damage the digestive tract, but more research needs to be done. Instead, use supplements that have highly absorbable turmeric.